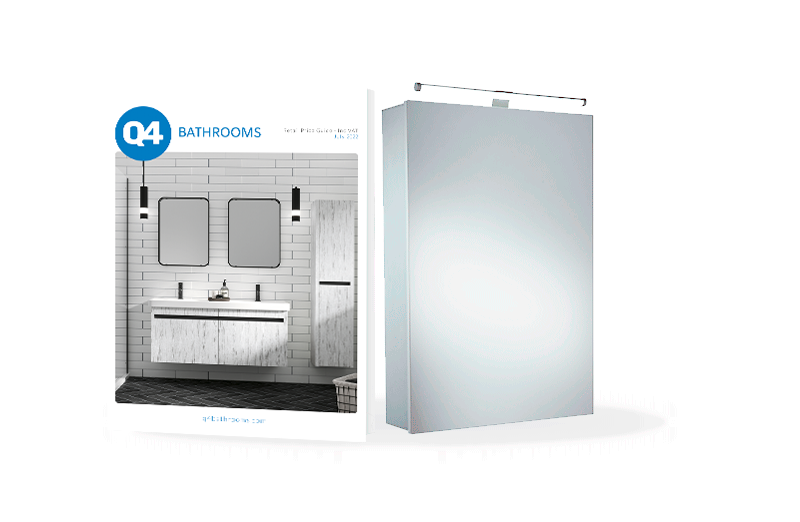 Q4 is proud to offer an extensive range of bathroom cabinets to suit all requirements. These multi-functional cabinet and mirror duos offer a space-saving solution for your main bathroom, browse through our cabinet options to find the one that’s perfect for you. The mirror is one of the most used items in the bathroom, so we are pleased to offer an effective bathroom storage solution as well as a mirror – light up your bathroom, and declutter at the same time! All Q4 mirrored bathroom cabinets come from leading manufacturers and are built to withstand use after use. Why buy bathroom storage from Q4?